As the World Series continues, the St. Louis Cardinals filled their coaching staff for 2018 and Yadier Molina has again placed among the top three for the Gold Glove Award. In our history feature, the unforgettable Game 6 of the 2011 World Series is remembered. Once again in his distinguished career, St. Louis Cardinals catcher Yadier Molina has been named one of three finalists for the Rawlings National League Gold Glove Award for catcher. The annual award will be given out during a televised award show on November 7, at 8 p.m. CT on ESPN. Molina was a finalist in 2016, but lost out to Giants catcher Buster Posey. That loss broke a string of eight consecutive awards over Molina’s career. For the prestigious award, Molina is once again among the top three scorers with Posey, as well as Reds’ catcher Tucker Barnhart joining them this year. Should the catcher win his ninth Gold Glove Award, he will move into a tie with Bob Gibson for the second most Gold Gloves in Cardinals’ franchise history. Ozzie Smith has the most Gold Gloves as a Cardinal with 11. Only two catchers in history have more Gold Gloves than Molina – Ivan Rodriguez with 13 and Johnny Bench with 10. The very durable 35-year old backstop logged 1,125 2/3 innings behind the plate in 2017, the eighth time in the last nine seasons Molina has caught more than 1,100 innings. His 133 starts led all Major League catchers. His 36% caught stealing rate was third among NL catchers with at least 100 games played. The award is voted on by managers and coaches, with 25% of the rating being a sabermetric component established as an index by the Society for American Baseball Research (SABR). Molina’s Defensive Runs Saved for 2017 was a +3, which is considerably lower than the +21 compiled by his competition, Tucker Barnhart. Barnhart did catch 200 fewer innings than Molina. The winner of the Gold Glove at each position are then eligible for the Platinum Glove, which recognizes the best defensive player in each league. 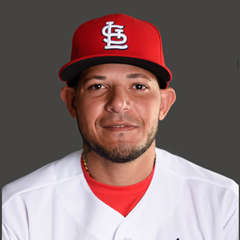 Molina has won the Platinum Glove four times – in 2011, 2012, 2014, and 2015. 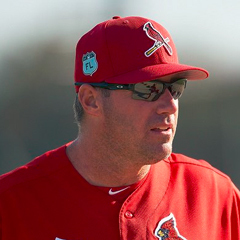 The Cardinals announced four additions to manager Mike Matheny’s coaching staff this past week. Three of the four coaches are internal hires, with one coming from outside the organization. 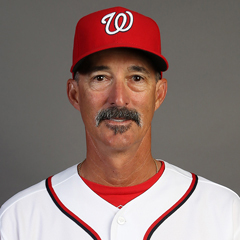 Mike Maddux, former pitching coach for the Brewers, Rangers and Nationals, was hired to replace the dismissed Derek Lilliquist. To replace the also dismissed Blaise Ilsley as bullpen coach, the Cardinals promoted Bryan Eversgerd. Maddux, 56, was the pitching coach for the Washington Nationals for the last two seasons, but was dismissed along with manager Dusty Baker following the Nationals loss in NLDS. The availability of Maddux became known after the Cardinals had already dismissed Lilliquist, and had reportedly interviewed former Rays pitching coach Jim Hickey. Maddux was the pitching coach for the Texas Rangers from 2009-2015, including during the Rangers’ infamous loss to the Cardinals in the 2011 World Series. Prior to the Rangers, Maddux was the pitching coach for the Milwaukee Brewers from 2003-2008. Maddux is the brother of Hall of Fame pitcher Greg Maddux. Eversgerd, 48, has been the pitching coach for the Memphis Redbirds for the past five seasons. He also coached for the Springfield Cardinals, and several of the Cardinals’ Class A affiliates. Eversgerd was a major league pitcher from 1994 to 1998. His major league career began and ended with the Cardinals, during 1994 and 1998 seasons. In between, Eversgerd played for the Montreal Expos in 1995, and the Texas Rangers in 1997. 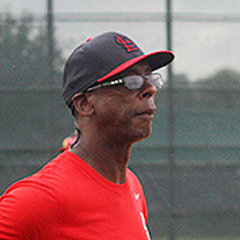 In addition to Maddux and Eversgerd, the Cardinals sought and obtained the return of Jose Oquendo as third base coach, and have added former outfielder and Cardinals Hall of Famer Willie McGee to Matheny’s coaching staff. 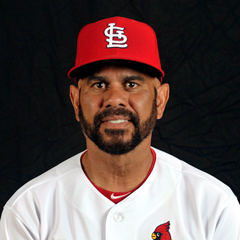 Oquendo’s return to the third base coaching position follows a two year stint away from Matheny’s staff. Oquendo took a leave of absence in March 2016 after multiple knee surgeries. The former St. Louis infielder remained employed by the organization, serving as a special assistant to the GM, working with minor league players at the Cardinals spring training facility in Florida for the past two seasons. Before his two-year absence, Oquendo spent 16 years on the Cardinals’ coaching staff, and played for St. Louis during the majority of his 12 season major league career. McGee, 58, played 13 of his 18 major league seasons as an outfielder for the Cardinals. He was hired as a special assistant to the GM in 2013, has been a regular guest instructor at Cardinals’ Spring Training, and made visits to assist with instruction of the major league team. McGee has not been given an official title as a member of Matheny’s staff. The World Series continues, with Game 5 to be played in Houston on Sunday night, then moving to Los Angeles for Game 6 on Tuesday. What to expect once the World Series concludes, follows. Pending free agents officially enter free agency at 9 a.m. EST on the day following the end of the World Series. A quiet period follows, when teams can enter into discussions with their pending free agents about extensions. Other teams are prohibited during this period, which lasts five days, from negotiating with or entering into contracts with, another team’s free agents. During this quiet period, teams may make their free agents a qualifying offer, which is valued at $17.4 million dollars for a one-year contract. Free agents have ten days following the conclusion of the quiet period to accept or reject the qualifying offer. 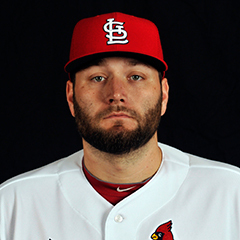 The Cardinals free agents are Lance Lynn, Juan Nicasio, Zach Duke, and Seung-Hwan Oh. The Cardinals are reported to be considering making the qualifying offer only to Lynn. This week’s history segment goes back only a short time, but marks an event that will likely be one of the greatest, if not the greatest, World Series game in MLB history. Saturday, October 28, marked the sixth anniversary of Game 6 of the 2011 World Series between the Cardinals and the Texas Rangers. That Game 6, the greatest Game 6, was won by the Cardinals by a score of 10-9 after four hours and 33 minutes of head scratching errors, pickoffs, wild pitches and passed balls, plus finger-nail biting, hair-pulling stress, never before experienced by any major league baseball team (or at the very least by this writer). The Cardinals were down three games to two coming into Game 6. The game was tied 2-2 in the fourth inning when the fun started. A pop fly unbelievably fell between Cardinals shortstop Rafael Furcal and outfielder Matt Holliday. Then a grounder to the mound was airmailed over second base by Cardinals reliever Fernando Salas. An RBI single by Mike Napoli put the Rangers in the lead, and Cardinal Nation groaned. Fortunately, the Rangers couldn’t tack on any more in that inning despite the St. Louis defense looking like the Keystone Cops on steroids. The Texas defense wasn’t much better, which kept St. Louis in the game. Yadier Molina grounded out in the bottom of the fourth to tie the score. Cardinals third baseman David Freese decided the previous inning’s follies weren’t enough, and took a popup off his head for another error just to prove it. The Rangers took a one run lead again in the fifth when a double scored the runner who reached on the botched popup. The Cardinals re-tied the score in the sixth inning because the Rangers’ pitcher went aiming for Yadier Molina’s face and walked him to force in a run via a bases loaded walk. Maybe another bases loaded run would have occurred on a wild pitch had Matt Holliday not decided to take a nap at third base; you guessed it, he was picked off. The Rangers took a two-run lead in the seventh via home runs, which made Lance Lynn unhappy. Octavio Dotel was unhappy when the lead was increased to three runs by Ian Kinsler. Everyone was sure the Rangers were the World Series winners – almost everyone, that is. The intrepid Cardinals weren’t going to let defense and baserunning bungling ruin a perfectly good World Series game. So Allen Craig did his Allen Craig thing and hit a home run. 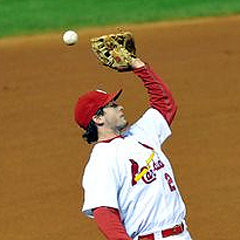 The Cardinals were only losing by two, but it became the ninth inning and things looked bleak. Albert Pujols doubled. Lance Berkman walked. Then there were two outs and David Freese came to the plate, the popup to the head guy. Down to his last strike, he hit a line drive to right, and Rangers outfielder Nelson Cruz thought he saw something whiz past him, but he wasn’t sure. Too late; it was a game-tying triple. David Freese forgot the popup to his head. So extra innings happened. Josh Hamilton hit a two-run home run and the Rangers took their lead back. Again, it looked like the Rangers had won the World Series. Nuh-uh. In the home 10th, Daniel Descalso and Jon Jay reached base. Kyle Lohse bunted. Ryan Theriot grounded out and Descalso came home. Albert Pujols was sent to first base because the Rangers were afraid of him. They should have been afraid of Lance Berkman instead. With the final strike of the game just moments away for the second time, Berkman singled to tie the game. Again. The Rangers didn’t score in the top of the 11th. Popup guy came to bat in the bottom of the 11th. He hit a home run to the grass in center field and Joe Buck told everyone listening that he would see them tomorrow night. Chaos ensued. Clothing was ripped off popup guy. There was much rejoicing. Tim McCarver didn’t understand how it all happened. Game 7 came and the Rangers just didn’t have it in them. The rest is history. Glorious history.